Worldwide Elder Abuse Awareness Day | Hupy and Abraham, S.C. 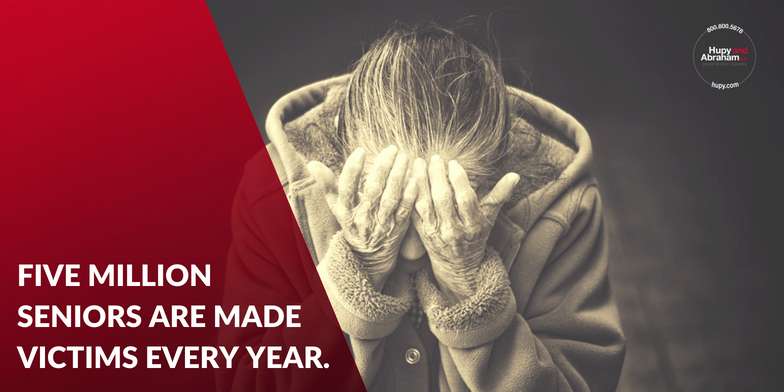 It is estimated that approximately five million older adults are victims of abuse, neglect, or exploitation every year. This is a global human rights issue that can be prevented. In June 15 2012, the World Health Organization and the International Network for the Prevention of Elder Abuse held the first Worldwide Elder Abuse Awareness Day (WEAAD). This year, as in previous years, WEAAD will take place on June 15. WEEAD provides communities with the opportunity to promote information and understanding about elder abuse. This campaign raises awareness of demographic, economic, cultural, and social processes that affect elder abuse and neglect. WEAAD also supports the UN International Plan of Action that acknowledges elder abuse as a human rights and public health issue. June 15 is a day to focus global attention on the challenges of this issue and to exchange ideas on how to reduce violence against elders, increase abuse reporting, and help raise awareness about elder neglect, abuse, and exploitation. If you see signs of abuse, address them. You can take pictures of the injuries and bruises, obtain statements from witnesses and the victim, and keep a journal of care behavior you feel is inadequate or suspicious. Additionally, speak to the director of the facility and express your concerns. Contact the police or an attorney for elder abuse if no action is taken. You can help spread awareness and promote action by using social media platforms. Sharing information about elder abuse can be instrumental in helping to stop neglect. Use the hashtag #WEADD on Twitter. Join Hupy and Abraham in support of WEAAD. Many elders are unable to speak for themselves, so it’s important that others look for and report any signs of abuse, neglect, and exploitation. Mistreatment of elders can lead to their serious physical harm and psychological damage, and the number of abuse incidents is expected to increase as more countries experience rapid ageing populations. Elder abuse is a serious issue that deserves our attention. If your loved one has been subjected to this type of treatment please feel free to contact us online or call us directly at 800.800.5678 to schedule your free consultation.